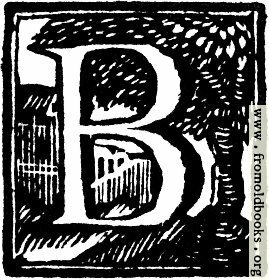 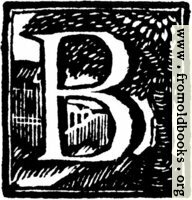 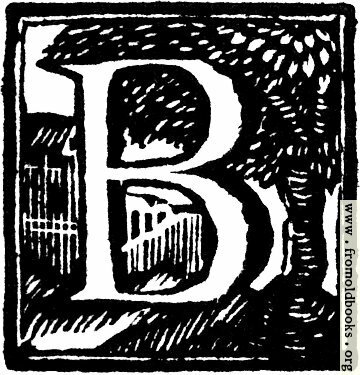 A decorative initial letter “B” used as a drop cap (drop capital) at the start of a paragraph. The woodut (or wood engraving) shows a tree and a building in the background. I have included multiple sizes, including 100x100 and 64x64 pixels, for use as avatars, as well as the original size from the 2400dpi scan for print use.